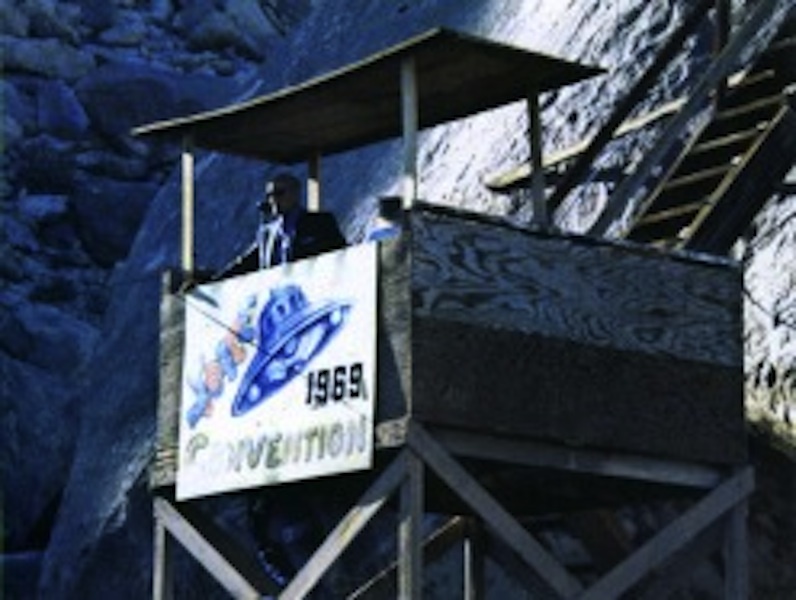 Landers California hosted a UFO convention at THE GIANT ROCK. 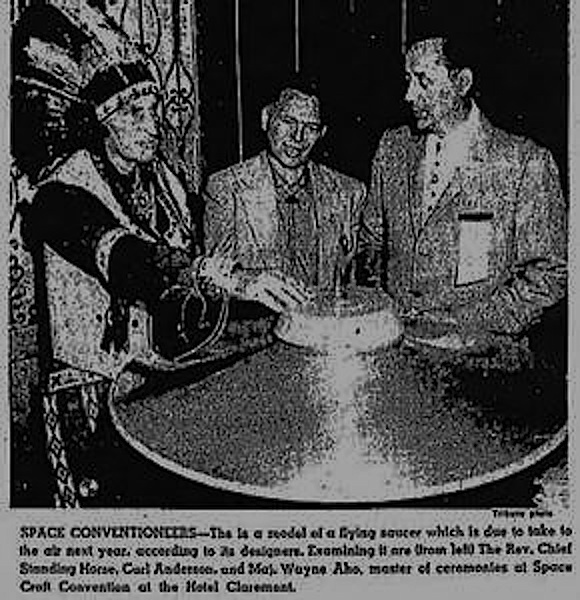 These shindigs were attended by seekers and contact-ees, below is some vintage history! 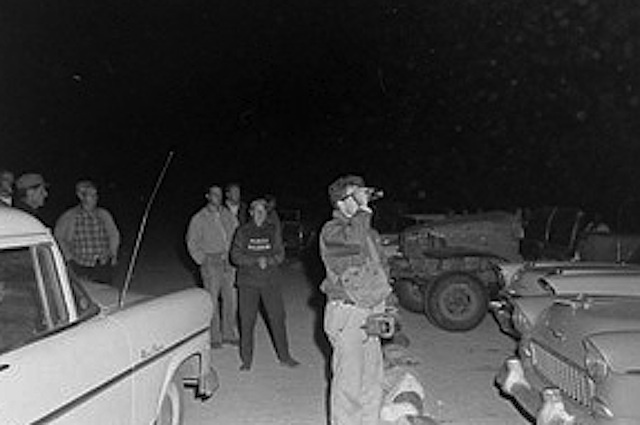 In these photos note how badly dressed the seekers are for the desert environment, yet they trekked out into the MOJAVE in hopes of gaining knowledge concerning UFOs and aliens. 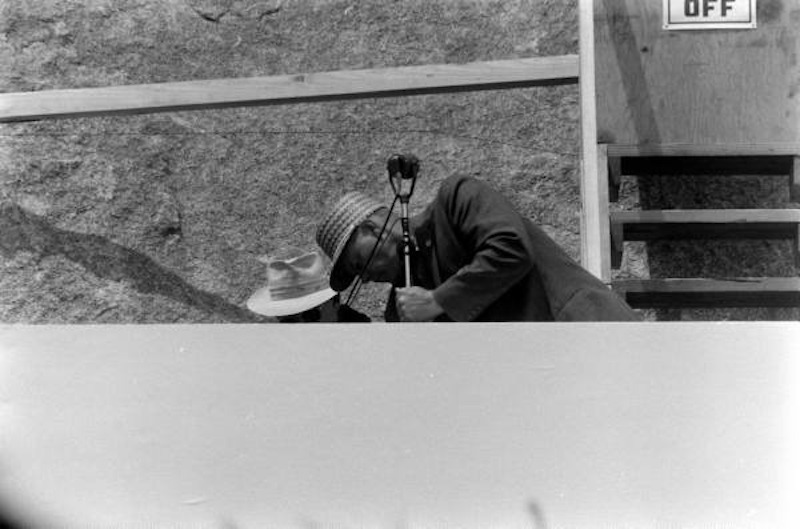 Above, note the person in the rock far low right. 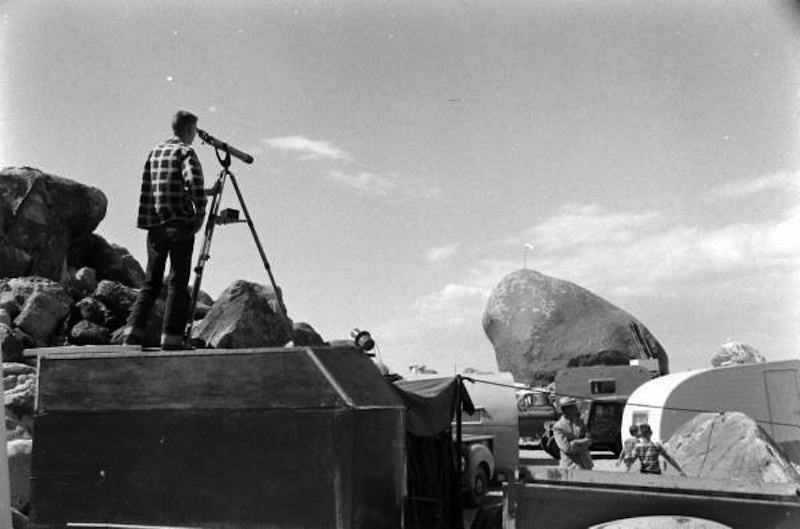 You can see the UFo lectures being held on the far side of the rock, this is circa 1954. Below, one fellow looks very in grossed in the lecture but he sure does look out of place. Maybe he is an ALIEN or Time traveler in disguise--- wink-wink. 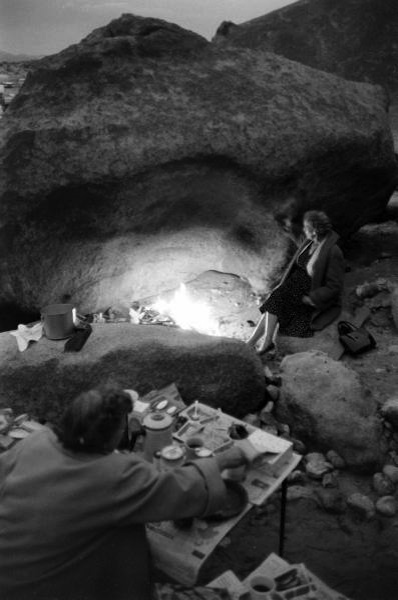 Below: Chairs were at a premium during the day and at night, warmth at night by way of fire was beyond a premium. 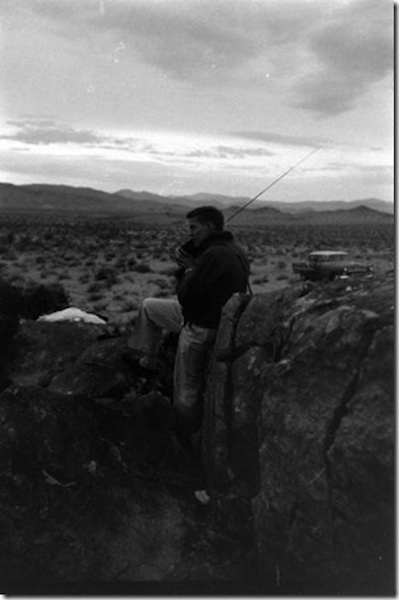 There was very little wood available for cam pries out in he MOJAVE. 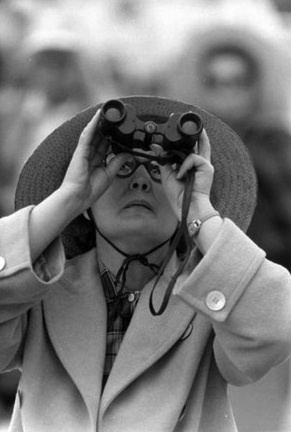 Yet these people, braved the elements in hopes of gaining info on aliens and UFOs. 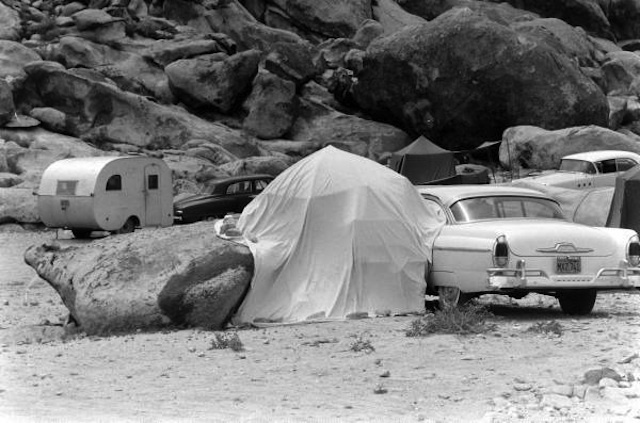 Below: The warmth of the tent next to the rock may wake up a hibernating rattle snake. But no reports were made of sidewinder bites. 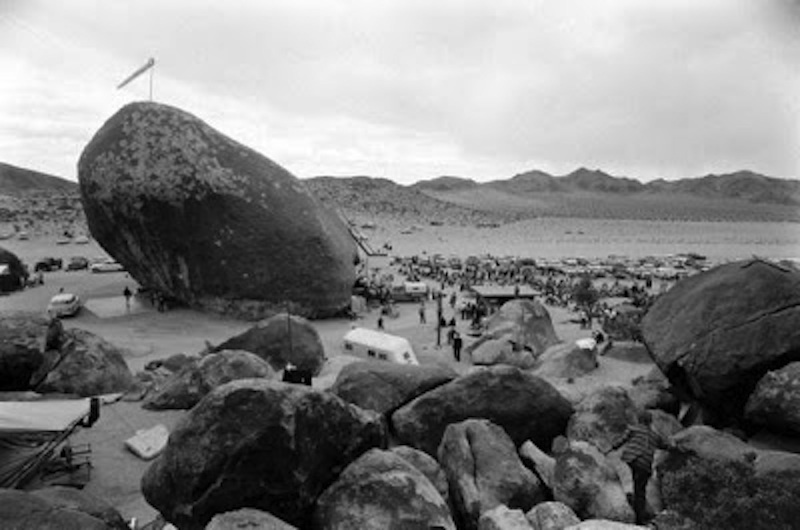 The Landers California Giant Rock Convention at its start, saw many people drive out to the desert and they were not equipped for the weather and were not clothed right. 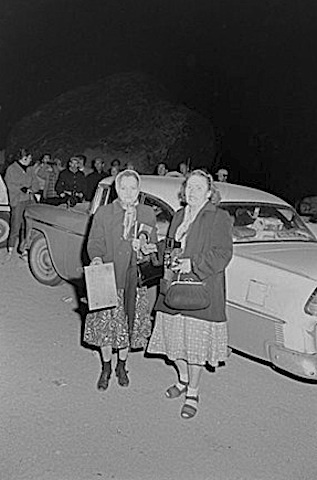 The lady by the fire is dressed properly for downtown 1950s L.A. or uptown NY CITY, but in the desert at dusk, those clothes do not cut it. 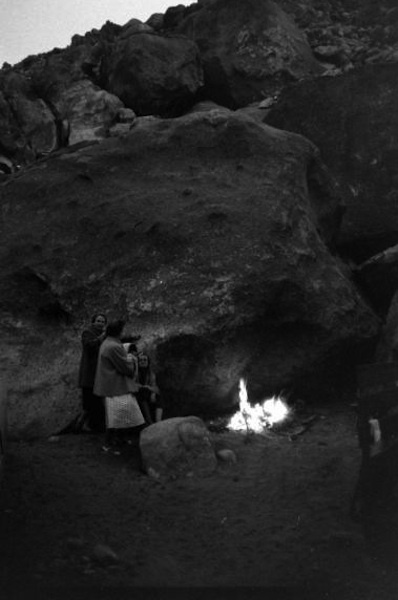 At least a warm meal is being prepared, where the fir is at, kind of strikes me where a caveman fire once was. 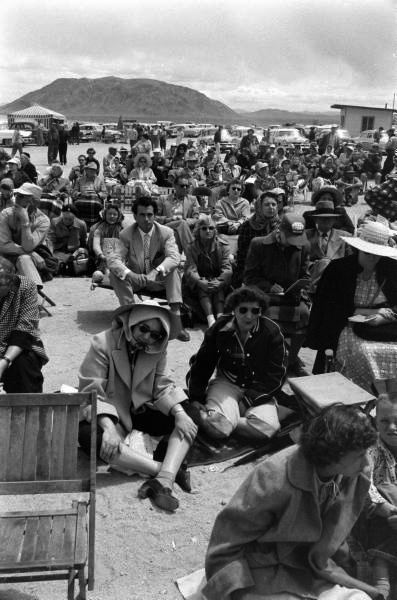 As the years went by- the Landers California Giant Rock Convention -- changed its dates from early spring to early fall, so the cold weather was not a major factor. 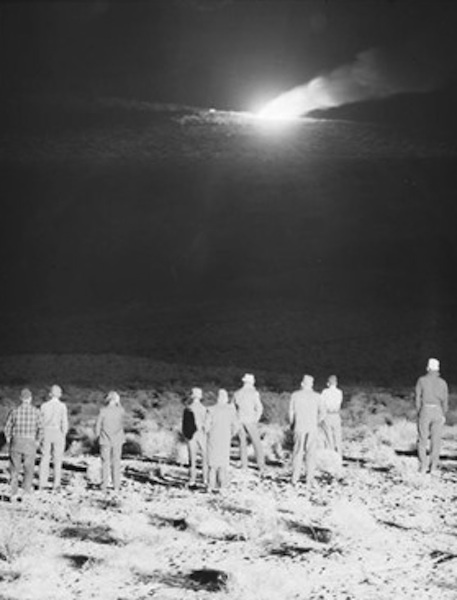 Below in 1957, the Landers California Giant Rock UFO convention was pranked by Cal Tech students. 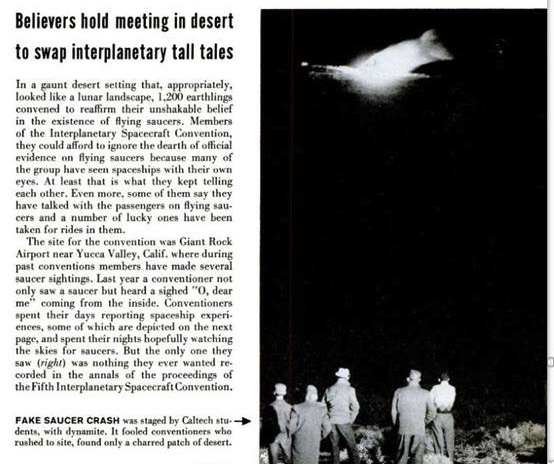 A UFO crash was staged at night, away from the Giant Rock. 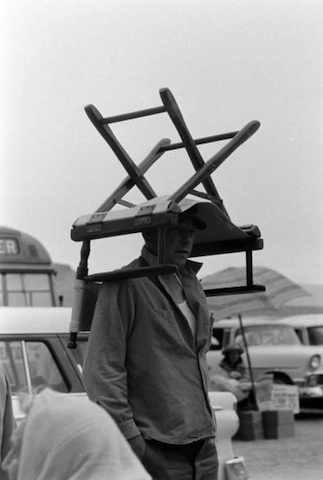 Cal Tech students into the 1970s were known for their tricks. 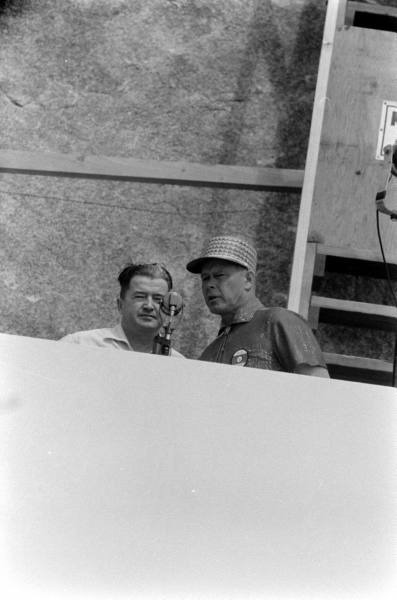 These guys would traditionally do something at the RoseBowl, either change the scoreboard to read CAL TECH or messing with the student body's card section. 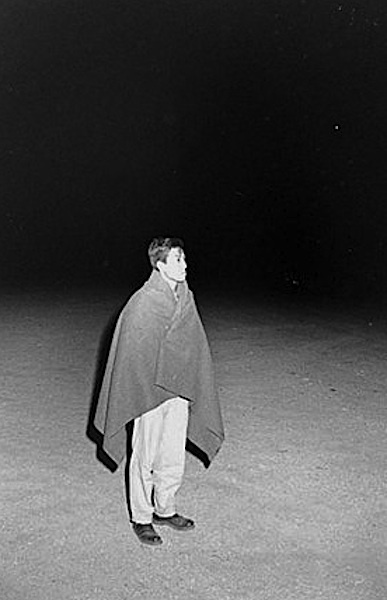 Below: did this man get out of his trailer and put on a blanket? Why? Because is he wearing slippers? 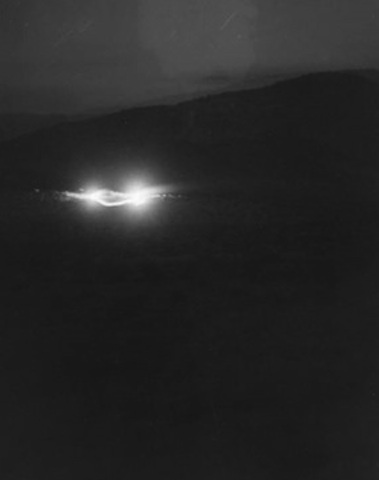 At dawn -- the prank was confirmed, those are vehicle lights above at the suspect UFO crash site.